Need to get creative? We are Strictlymarketing. We can help. Strictlymarketing is focused on delivering sophisticated visual communication pieces and positive customer experiences. Our branding and graphic design ideas are always developed alongside your business and marketing strategy. Your branding determines how your company is perceived in the marketplace, and can therefore have a significant impact on sales and customer retention. Your brand can also be one of your company’s valuable assets, both through your brand equity as well as drawing and cementing customer relationships and increasing staff retention. 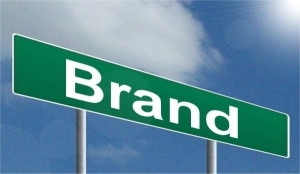 Branding is a key factor in shaping your customers first impression of your brand’s personality and distinguishes you from your competitors, creating your corporate identity. Do you offer complete and unparalleled opulence like The Ban Yan Tree resorts? Working on a more personal, one-to-one level, we’re able to give every client total focus and commitment, working with them to understand their vision and breathe life into their brand. All of these things impact on what people think of your company in varying degrees. If your feeling lost, you’re not alone. It takes large teams of marketing professionals to create brands like Coca-Cola, whose audience has an emotive following for the brand that is consequently worth billions. Strictlymarketing provides specialist branding and graphic design services that can help to turn even the simplest idea into something spectacular. We can create tailored branding and designs to suit any business of any size. Whether you need a logo, posters, flyers, website design or various other forms of branding, we will listen closely to your requirements and deliver designs that are personally tailored to meet the needs of your business and reach your target customers with maximum consistency and impact. If branding and design is something you have wanted to improve on in your business, or you are seeking a personalised branding and graphic design service that is commercially focused on results we’d love to hear from you. Need personalised design? We are Strictlymarketing. We can help.